Late 2017 British company Sheen Instruments was acquired by TQC BV of The Netherlands. Sheen Instruments has a history of over 70 years being manufacturers of laboratory equipment for the paint industry. TQC is a Dutch manufacturer of paint test equipment renowned for their innovative approach and ground breaking developments. Both companies are joining forces now and the two brands are being merged in the new TQC Sheen label. The new label represents perhaps the most extensive range of paint test equipment varying from a vast range of viscosity meters, automatic film applicators, scrub and scratch testers to gloss & colour meters, thickness gauges, drying time testers etc..
TQC Sheen is headquartered in The Netherlands where the company’s production, logistics, application lab and R&D centre are housed near the city of Rotterdam. The TQC Sheen group has sales offices in Germany, the UK, Norway, USA, Italy, Singapore and South Korea and a network of dedicated distributors around the globe. For special applications TQC Sheen has established the ‘special products service’. The close cooperation between the Technical Sales Department and the Research and Development department makes it possible to develop special products according to customer specification. The paint and coatings market is the main playing field of TQC Sheen and their agents. TQC Sheen therefore feels obliged to contribute to the market with its expertise. TQC Sheen is an active member of ISO, NEN, DIN and ASTM. Together with representatives from other major market players. TQC Sheen tries to assist in keeping the paint related standards up to date, relevant and objective. In many occasions TQC Sheen plays a leading role. Mr Nico Frankhuizen for example is chairman of the Dutch ISO-Paint and Varnishes group (NEN). 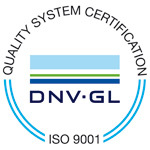 In our line of business where quality is the keyword for our customers, we decided to have our organisation certified according the ISO 9001 standards by “Det Norske Veritas”. High quality products are supplied and maintained by our efficient organisation following well-structured procedures but always keeping the customers wishes in the first place! Automatically, when participating in the NEN and DIN commission, TQC also participates in this ISO commission. The commission is committed to the implementation and harmonization of standards globally. Representation within the committee takes place by Nico Frankhuizen. The scope of this committee covers all standards relevant to the dyeing industry. Since 2008, TQC has actively participated in the NEN Committee on Painting. TQC is represented by Nico Frankhuizen as chairman of this standard committee. The committee has the following scope: Standardization in the field of paints, varnishes and related materials including raw materials. The Association for Materials Science is a network of experts in the field of materials technology. Its members are researchers and engineers at universities, research institutes and industry.